Atlantic Business Interiors is the authorized Steelcase dealer in Atlantic Canada. Through our partnership, we study how people work to fully understand the ever-changing needs of organizations and their people. We then take our knowledge and couple it with products and services to provide flexible work environments that inspire performance. The new Think is smarter, simpler and more sustainable. The FIRST chair designed to support our interactions with today's technology. Supporting privacy and focus, as well as collaboration with colleagues and clients. Make your home office inspirational! Good for your body and good for your brain. The perfect lounge setting for group work or individuals. Designed for high focus and creativity. Relax, put your feet up, and focus. The Walkstation desk allows employees to work on their physical health without disruption to the workday. Work your core and create movement in your workday as you tilt,wobble,and spin on the Buoy. Redefining the role vertical real estate plays in today's workplace. Remove the barriers to innovation. Improve student success with active learning environments. Create a space that allows greater connection,empathy, and well being. We LOVE small. Create an inspiring space that will grow with you and your success. Connecting people with colleagues,their work, and organization. The ways people work are constantly changing. Atlantic Business Interiors is at the forefront of helping companies large and small achieve maximum impact from their most important asset – People. Established in 1986, we have grown to be one of Canada’s leading suppliers of office furniture and related services. We partner with leading furniture research and development firms to provide modern, custom solutions that will integrate with your workplace today, and can adapt to fit with changes to your technology, business processes and workforce of the future. Our in-house service teams provide a full range of facility management services to help transform your business environment to a more effective workplace. 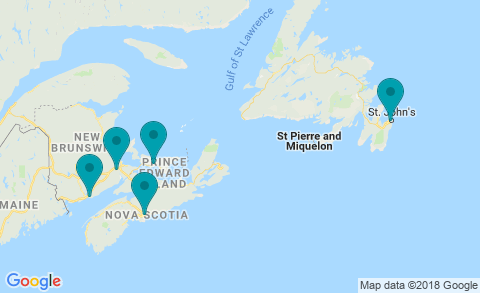 With locations in Halifax, NS, St. John’s, NL, Charlottetown, PEI, Moncton and Saint John, NB, we will deliver fast, reliable local service for your projects – big or small. The core values instilled in our people are the same today as they were in our beginning. We consistently strive to provide Quality Products, Excellent Service and Competitive Value. We look forward to working with you and earning your trust. Our job is to help you create great experiences wherever work happens. Whether you design them, manage them or work in them, we can help you create high performance, hard working workspaces. Today’s library should be a broader and deeper resource than ever, a place where traditional and new knowledge resources converge. Atlantic Business Interiors truly is an Atlantic Canadian company—with five locations to serve you. Atlantic Business InteriorsGreat spaces are part of great companies. Let us make your space matter.